Key will not accidentally fall out. Has convenient handlebar mounting. Used by top hillclimbers and snocrossers. Short, tightly curled cord helps avoid tangling in controls, etc....8' coiled, 4' stretched. 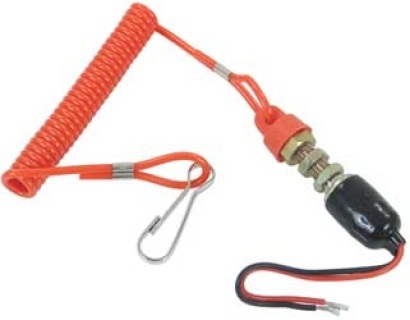 For machines that require an open circuit for the engine to run. WILL NOT WORK ON ARCTIC CAT. 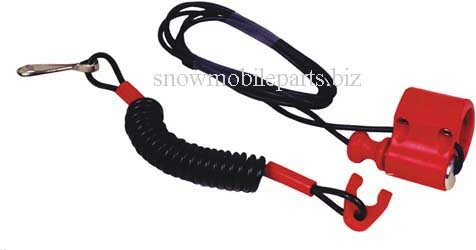 Fits All Arctic Cat models 84-03. Closed circuit to run. Fits all Ski-Doo 88-96 with tether switch. Open circuit to run. 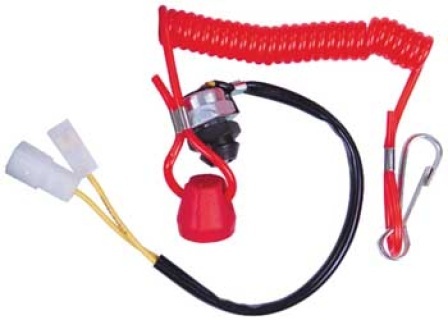 Fits All Yamaha models 79-98 with tether switch. Open circuit to run .